The fishing pier and arcade in Ocean Isle Beach is a favorite local attraction that is hard to miss. Located at the very end of Causeway Drive, the only route on and off the island, the pier is visible from virtually every stretch of beach along this small, seaside town. Known for its exceptional fishing, tasty local grill, and arcade that serves as a perfect distraction for young visitors, this complex has plenty of entertainment to keep everyone in the family smiling. The pier is one of the oldest fishing piers along the southern North Carolina coastline, a rare feat for a coastline that boasts dozens of fishing piers. Construction on the wooden structure began in 1956 by Odell & Virginia Williamson, followed by a 1957 grand opening, and the Williamsons have been instrumental to the pier's success ever since. Today, the pier is a popular destination for anglers in need of a fishing fix, hungry locals and frequent visitors who want a great, quick meal on the go, and families of all ages who want to tour the arcade and on-site gift shop. A number of fresh saltwater catches can be reeled in from the Ocean Isle Beach Pier, depending on what time of year a fishermen comes to visit. Speckled trout, bluefish, flounder, cobia, sea mullet, pompano, spots, sharks, tarpon, sheepshead, and croakers are all popular seasonal species for bottom fishermen, while king mackerels are an especially targeted treat for many anglers. The cooler months of fall and spring bring seasonal red, black and puppy drum, while virtually any time of year or type of weather is a great time to take a stroll down the long wooden planked pier to take in the island-wide view. The pier is stocked with wooden benches, well placed along the length of the pier, enabling anglers and sightseers alike to take a load off and admire the Atlantic Ocean vistas in all directions. Fishing fees run around $8.00 per rod, while spectators can take a long stroll along the pier for around $1.00 for adults, and $.50 for children under the age of 12. More information about hours of operation and seasonal closures can be addressed by calling the pier directly at 910-579-3095. At this fishing pier, the fun begins at the pier house entrance, which is stocked with a world of activities and attractions to keep everyone in the crew, (even the non-anglers), entertained. The pier house features an extensive bait and tackle store with all the gear a visiting fisherman could possibly need to reel in a fresh catch or two. Pier staff are happy to guide newcomers on what's biting and the best rigs and bait to lure them in, and adjacent to the tackle section is a gift and souvenir shop that's well stocked with beach gear, accessories, and trinkets and treasures to take home. The pier's arcade will surely keep the younger family members engrossed for an afternoon, and is a popular hang-out for vacationing kids and tweens. There's also the newly added "Sunset Slush" located nearby, which serves up countless flavors of refreshing Italian ice, and a grill located within the arcade for quick beach snacks or easy-going meals. The grill is especially popular with locals and visitors alike, and serves up everything from tasty egg and sausage breakfast sandwiches to hot slices of pizza. 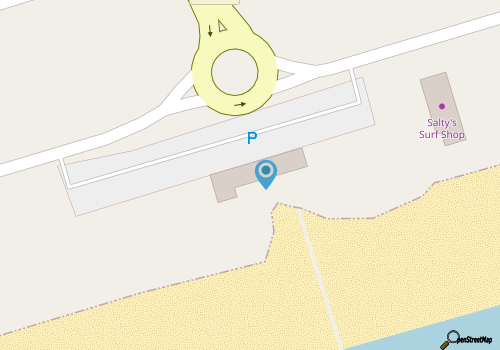 The pier house facilities are open to everyone, (no pier pass purchase is required), and are definitely worth a stop for gamers, souvenir shoppers, and hungry patrons of all genres. 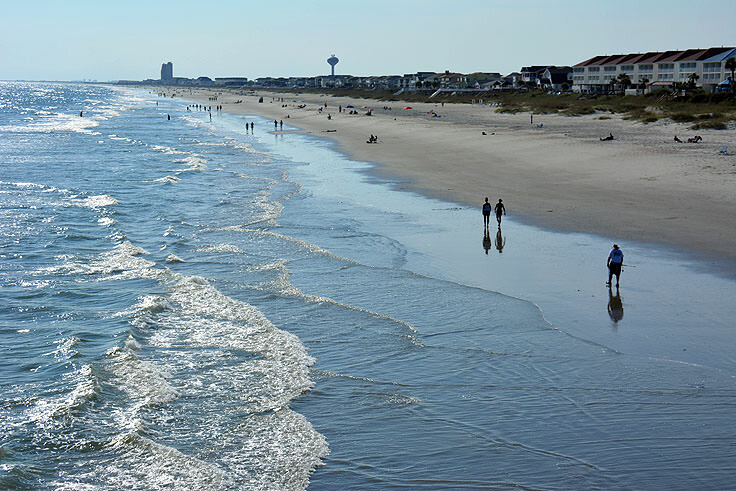 For an incredible local attraction that serves up all the fun off-the-beach attractions that a good seaside destination is known for, the Ocean Isle Beach Pier & Arcade is a must-see. 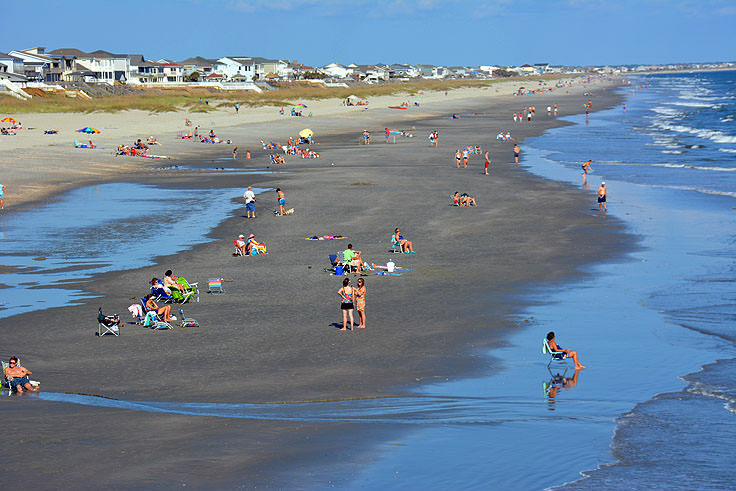 A favorite destination of long-time Ocean Isle Beach vacationers, newcomers to this region will quickly discover that when it comes to good entertainment, good food, and great fishing, the pier in Ocean Isle Beach is always the place to be.